This saying has never been more true! This is the first part of a two-part blog all about blood type and the Blood Type Diet – stay tuned for part two coming soon! The Blood Type Diet was the major catalyst for me to become a naturopathic doctor, so I can say that it literally changed my life, both health-wise, but also career-wise. I first became aware of naturopathic medicine after reading Eat Right For Your Type, the best-known book by best-selling author Peter J. D’Adamo, ND. This was a major turning point for my health as the information in this book transformed me from a tired and cranky university student well on my way to being overweight (with chronic disease down the road) to an energetic and vibrant naturopathic doctor. Have you ever wondered why the Atkins diet works for some people, while vegetarianism works for others? Dr. James D’Adamo noticed that some patients did well on vegetarian and low-fat diets while others did poorly. He began blood-typing his patients and a pattern began to emerge. Then, his son Dr. Peter D’Adamo researched his father’s theory while still a study at naturopathic college. He soon discovered a scientific basis for his father’s observations. There are four basic blood types: A, B, AB, and O. Each individual carries two alleles (one from each parent) that together determine blood type. Types A and B are dominant, while type O is recessive. Therefore, type O people carry two identical O alleles, while type A and B people can either carry two identical alleles (either both A or both B) or one dominant allele (A or B) and one recessive allele (O). Type AB people carry two dominant alleles (one of each of A and B), creating the fourth blood type. 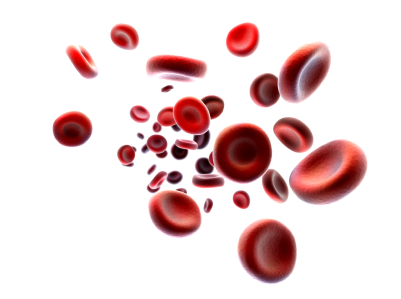 There is also another commonly used blood typing system based on Rhesus factor. In this system an individual is either Rhesus positive or negative. Rhesus positive is dominant and Rhesus negative is recessive. These blood types determine antigens (substances that serve as identifiers and stimulate production of antibodies) on your cells. Blood typing is used in transfusion medicine to determine which blood is safe to give each individual. Blood type O negative, being recessive, is the “universal donor,” meaning this type can be given to anyone without causing an immune reaction (antibody production). Blood type AB positive, being dominant, is the “universal receiver,” meaning this type can be given any type of blood without experiencing an immune reaction. What does blood type have to do with food? Why should I eat right for my type? You literally “are what you eat” since all your cells, proteins, hormones, and neurotransmitters are constructed from what you put into your body. Therefore, what you eat is also your most powerful tool for preventing and healing illness. Eating right for your blood type is designed to optimize your digestive and immune health now to alleviate health issues as well as prevent future disease by protecting you against your unique susceptibilities. When you know your blood type, you are empowered to create an environment that is optimal for your type, including diet, exercise, and lifestyle. The majority of people come to the Blood Type Diet hoping to lose weight. While this is indeed a major focus of this system, the greater goal is improved physiological function when an individual eats the foods that are the best fuel for his or her system. The natural result of this improved function is weight loss, but also improvement in other health concerns (such as digestive disturbance, allergies, hormonal imbalance, pain and inflammation, mood regulation) and prevention of chronic illness (such as heart disease, cancer, diabetes). Blood Type Diet lacks evidence?